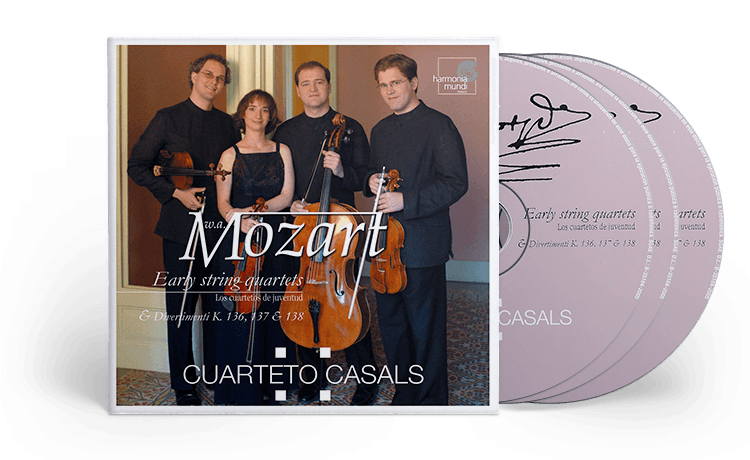 Mozart was fourteen years of age when he composed his first string quartets, K.80, and he was to devote a large part of his chamber output to this genre. At the point when he took an interest in it, the string quartet had only recently emerged and it had yet to settle into its final format, wavering between divertimento, serenata and the symphony. The young composer was to develop and enhance it while using as a vehicle to reveal many of his personal emotions.